The Upper Basin Pallid Sturgeon Workgroup was established shortly after the listing of pallid sturgeon. 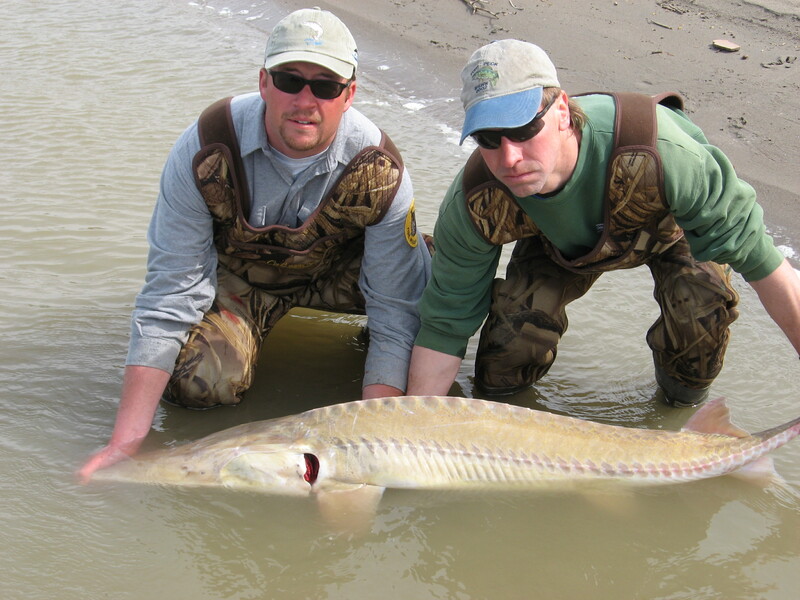 Since its inception the partners have worked cooperatively to preserve and restore pallid sturgeon in the upper basin. 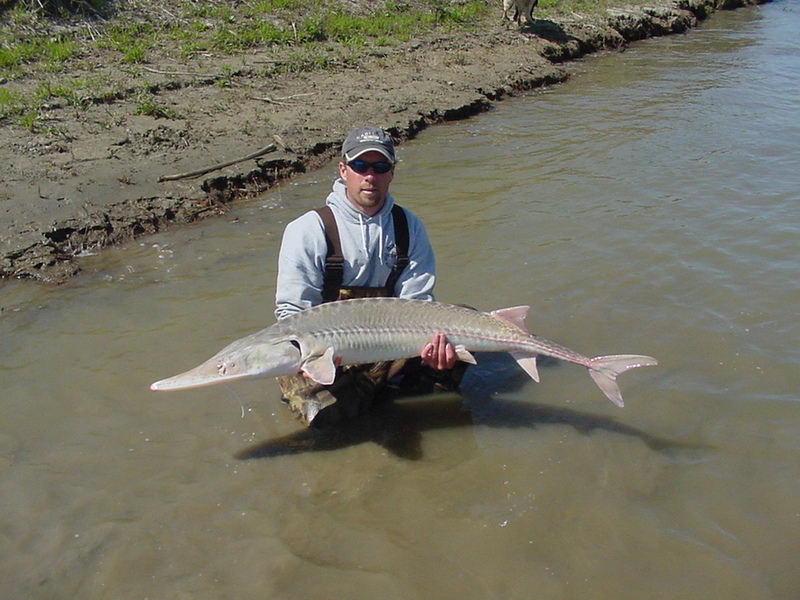 An adult pallid sturgeon being released back into the river. Through monitoring and research efforts the Workgroup has shed light on the threats to pallid sturgeon as well as identifying possible solutions to these threats. Much of this work has been funded by the agencies including Western Area Power Administration which makes funding available for priority research needs. The workgroup undertook an ambitious program of capturing pallid sturgeon in the wild, collecting eggs and sperm from the wild fish before returning them to the river, fertilizing and hatching the eggs, rearing the young fish and stocking these pallid sturgeon back to the river. This effort has forestalled the likely extermination of the species in the upper basin. An adult pallid sturgeon captured during spring broodstock. The Workgroup meets annually to report and update the members on issues and progress. A Governing Board meets 2-3 times a year to update the 10 Year Recovery Strategy for the upper basin, prioritize research needs and deal with specific issues.